Felicity Wilcox is an interdisciplinary composer whose output encompasses concert music, film music, songwriting and improvisation, music for theatre, installation, live events, dance and radio. NEWS OF FELICITY’S LATEST RELEASE! 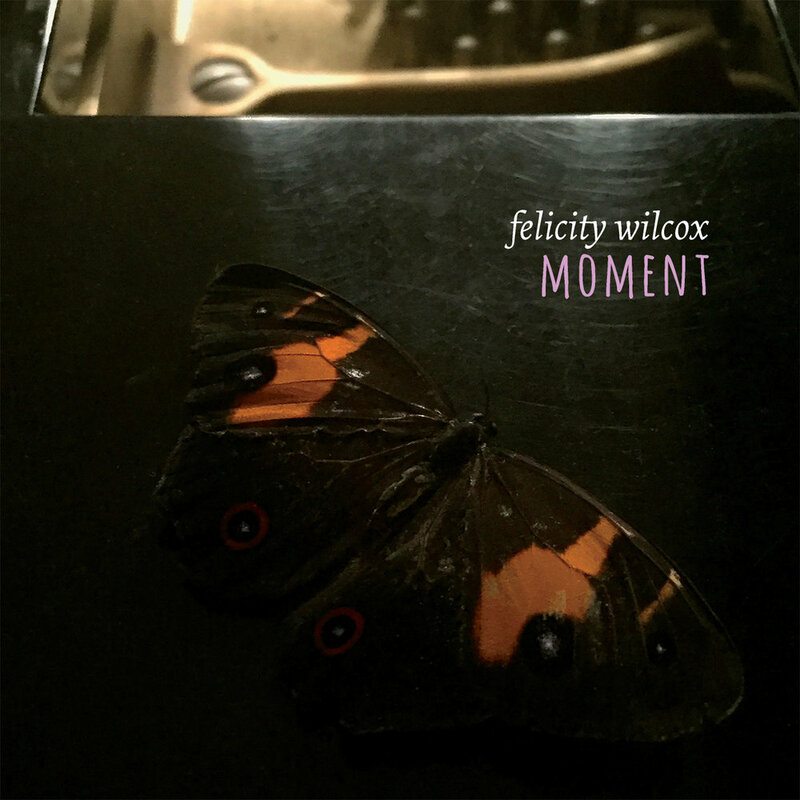 Moment is Felicity’s newest CD of solo piano improvisations, just out on Bandcamp, and available for streaming, digital download or as a hard copy LP. Moment was launched in the mountains at 100clicksWest on October 6, 2018, with Lloyd Swanton (The Necks) and John Encarnacao (The Nature Strip), who played a fully improvised set with Felicity, to a packed house. We are now preparing for our Sydney launch on April 3, 8.30-11pm at Foundry 616. Not only is this the city launch of Moment, but it’s the debut gig of a very special new trio, W.E.S.T. (Wilcox, Encarnacao, Swanton Trio). We look forward to bringing you more music from this trio of improvising composers! Jean-Luc Godard kindly gave me permission to edit his 1962 film, "Vivre Sa Vie" and to create new music for my 15 minute version. World Premiere: Sir John Clancy Auditorium,September 16, 2017, with follow up performances by Ensemble Offspring, Albany Arts Centre, Subiaco Arts Centre, WA, Septmeber 2018..
"It’s playful, it’s dramatic, and it nudges the boundaries between live and recorded, screen and stage, concert and film with a delicious sense of exploration." Video by Ros Dunlop and Felicity Wilcox. This piece contains multiple influences that reflect the spirits, the echoes and the blend of lives lived in our beautiful Gadigal country, of bush, grasses, sandstone and sea. Dedicated to the Gadigal traditional owners and to Jason Noble. Yurabirong was released on “Chi’s Cakewalk”, Jason Noble’s CD of solo Australian clarinet works. It has been performed widely by Jason Noble and Ros Dunlop at leading festivals and venues in Australia and the UK, including the Canberra International Music Festival 2017, Musica Viva 2017, and Royal College of Music (London) 2016, among others. Utzon Room, Sydney Opera House, February 28, 2015. "This engaging commission work...blends early and new music styles effortlessly and seamlessly, and is a brilliant flagship for the sensibilities of the project." Under the alias Felicity Fox, I have enjoyed a successful career as a screen composer and music director, with a highlight being my role as Assistant Music Director and Composer for the Paralympic Games opening Ceremony in Sydney 2000, where my compositions were performed in the Olympic Stadium by iconic Australian artists such as Renee Geyer, and broadcast to an audience of millions worldwide. I have composed, recorded and produced the soundtracks to many award-winning film and television productions, and my soundtracks have received multiple ARIA, AFI and APRA/AGSC awards and nominations. I continue to compose for the screen around concert commissions and other multimedia projects, and composition for moving images is a focus area of my teaching to tertiary students. I was elected to the Board of the Australian Guild of Screen Composers in 2015, where my focus is on improving representation of women composers in the screen music industry, and facilitating connections between the education sector and industry. Songwriting and improvisation have always been at the heart of my music practice. I have released two CDs of original songs; the latest, The Curling Vine, is a collection of ballads featuring a band made up of some of the greats of the local music scene. It is an intimate journey of the soul, a coming home from my regular journeys into other realms. The record was launched in 2015 at the Clarendon in Katoomba and Camelot Lounge in Sydney, to full houses and critical acclaim.